With the holidays right around the corner, Jordan Brand is preparing their slate of special seasonal releases. From the “Platinum Tint” Air Jordan 11s to the brand-new Air Jordan 33, the Jumpman has a wide swath of unique kicks ready to go for the holiday season — and now a light-hearted GS Air Jordan 8has surfaced to join the bunch. Calling upon a combo of chilly blue tones across the upper, the shoe’s unique detail arrives via an all-over snowflake print that covers the midfoot and heel counter. Ombre-style fades are used on the crisscrossing straps — which are constructed of patent leather for further icy detailing — and the look is completed by a two-tone navy and white outsole. 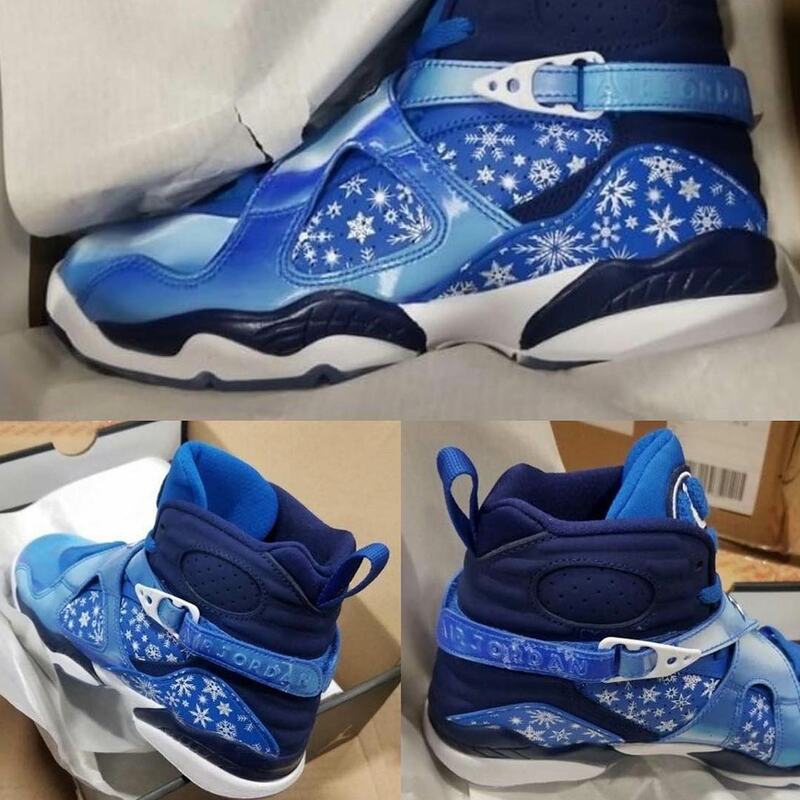 Enjoy a first look at these blizzard-style AJ8s below, and stay tuned to our Jordan Release Dates page for more updates as they’re available.